Paris is undoubtedly one of the most popular tourist destinations in the world. It is the largest city as well as being the capital of France. The city is considered to be one of the most important business and cultural centres of the world. It also hosts the headquarters of different international organisations such as UNESCO, the OECD and others. Paris is visited by millions of tourists every year, who come here to experience its miraculous beauty. Car rental is definitely the best option for sightseeing in this gorgeous city for sheer convenience. The city is well connected with different modes of transport and has a great infrastructure. There are numerous hotels, restaurants, apartments, pubs, nightclubs and cafes in Paris so accommodation and dining is never a problem here. The endless attractions of the city include boat tours on the Seine River, the Père Lachaise Cemetery, the Eiffel Tower, Notre Dame Cathedral, the Louvre, the Picasso Museum, teh Musée de l'Orangerie and a lot more. Apart from these, there are numerous parks and gardens in the city which makes it one of the greenest cities in the world. You can enjoy visiting these beautiful places through car hire solutions. The Louvre offers a lifetime experience to the tourists. It is home to the largest collections of paintings, sculptures and other antique items of pre-20th century era. You can find Leonardo da Vinci’s Mona Lisa here as well as the creations of Caravaggio, Vermeer, Rembrandt and many other legends. The Eiffel Tower, a symbol of contemporary Paris, is among the most visited sites on the planet. This beautiful iron tower was built by Gustave Eiffel in 1889. In addition, Notre Dame Cathedral is also able to make visitors speechless with its breathtaking appearance. You can experience the magic of this stunning place only by visiting there. 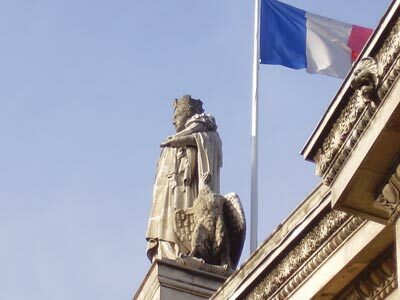 The Sorbonne and the Latin Quarter are also among the favourite spots of the tourists. The Sorbonne is one of the oldest European universities while the Latin Quarter offers a panoramic view for visitors. The Père Lachaise Cemetery is the final resting place of some legends such as Jim Morrison, Oscar Wilde and Edith Piaf to name a few. A boat tour of the Seine River would be a trip to remember and whether you take a trip during the day or at night the sights are spectacular. Make the most of every moment and use Paris car rental to its fullest. Most major car rental agents in Paris Gare Du Nord Railway Station offer one way rentals. One-way rental is when you collect the car in one place and return the car in another location. In most cases the car rental agent will charge an extra fee if you wish to return the vehicle at a different location. In the terms and conditions will state if the one-way fee is included in the rental price. If the one-way charge is not included in the rental price, the one way charge needs to be paid on arrival directly to the car rental agent. Paris Gare Du Nord Railway Station is a popular rent a car destination, there are many car rental companies in Paris Gare Du Nord Railway Station with a wide range of different car categories. Many of our clients have rented a car in Paris Gare Du Nord Railway Station and had good experiences. Do not wait with booking your car for Paris Gare Du Nord Railway Station before you know prices will go up and the availability will get low. Last month, the average car rental length in Paris Gare Du Nord Railway Station was 2 days. The average rental car length in Paris Gare Du Nord Railway Station is 3 days. The most booked rental car type currently in Paris Gare Du Nord Railway Station is COMPACT cars. Last year, the most booked rental car type in Paris Gare Du Nord Railway Station were ECONOMY cars. How much does it cost to rent a car in Paris Gare Du Nord Railway Station? Last month, the average car rental price was 144 USD. Last year, how much did it cost to rent a car in Paris Gare Du Nord Railway Station? Last year, the average car rental price was 303 USD. What is the current average daily price to rent a in Paris Gare Du Nord Railway Station? Last month, the average rental price was 72 USD per day. How much did it cost to rent a car in Paris Gare Du Nord Railway Station over the past 12 months? Last Year, the average rental price was 93 USD per day. The car rental companies available in Paris Gare Du Nord Railway Station are: Alamo, National, Enterprise. Good value rental, but we decided not to pay extra for a second driver. why do companies charge for this when a second driver can reduce driver fatigue etc?